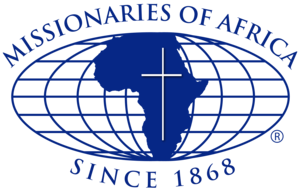 The foundation of the Society of Missionaries of Africa is “naturally” linked to the Muslims and the Islamic religion for two major reasons: Firstly, the encounter and dialogue of our Founder Cardinal Lavigerie with the Muslims in Lebanon-Syria and in North Africa; and secondly, the birth and growth of this Society in the Arab-Islamic milieu of Algeria and Tunisia. This comprises adapting ourselves to the people to whom we are sent, i.e., in their culture, language and way of life as long as it does not contradict the Gospel values, in other words, “being-all-things-to-all” (1 Corinthians 9:22). On the other hand, this habit continues to remind us of our Arab-Islamic roots and our mission towards the Muslims in general. Our Constitutions and Laws remind us of this mission, “Because of its origins, the Society has always had a particular interest in Muslims,” (Constitutions and Laws, Chapter I, article 1).